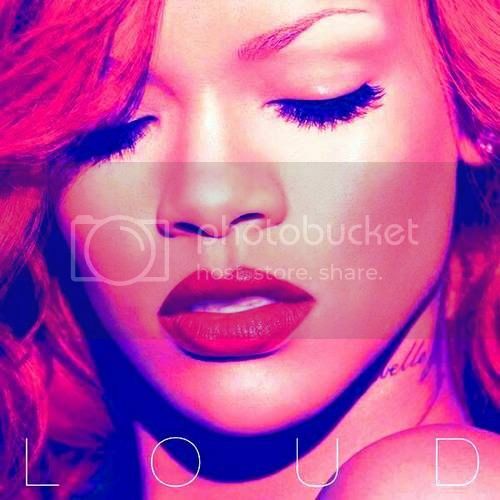 Diva Devotee: Listen to new Rihanna songs from the album "Loud" : "S & M", "Cheers (Drink To That)" and "Love the way you lie"
Listen to new Rihanna songs from the album "Loud" : "S & M", "Cheers (Drink To That)" and "Love the way you lie"
Another Rihanna song from her new album Loud has been released. It's called S and M - I'll leave the meaning of this song for you to deduce. Despite the catchy hook, I'm not feeling it as much as the last two songs from the album. Perhaps its a grower. Listen below and decide for yourself. Update:More Rihanna songs have been released. At this rate the whole album is going to be revealed before the release date! "Cheers (Drink To That)"samples Avril Lavigne's I'm with you. I just wish Ri hadn't used that strange vocal styling in the chorus, it's a little distracting. Also the delivery on the line "I'll drink to that" begins to grate by the end of the track.